In my initial stage of my career as a footballer, I had to face a lot of social stigma. 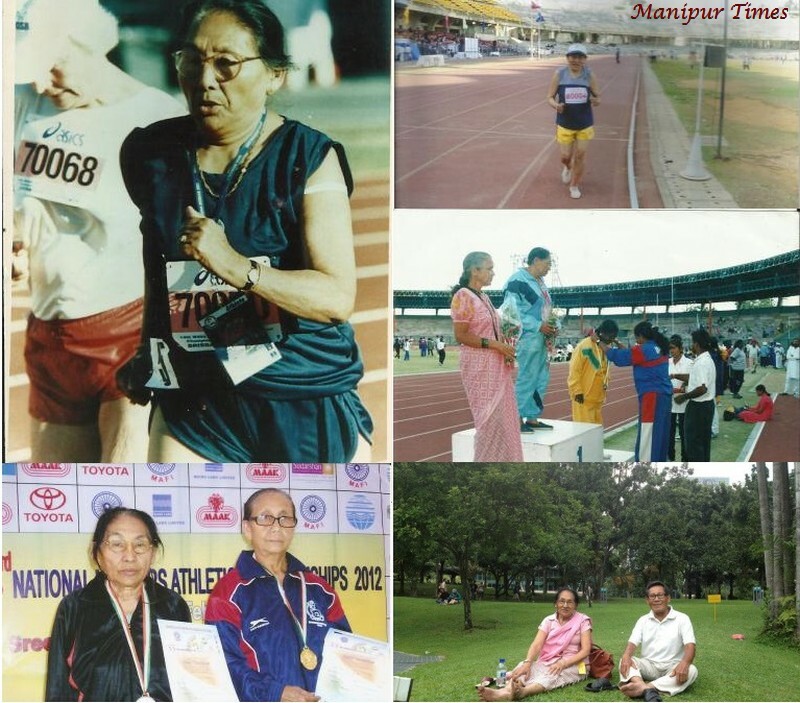 Local elders including my parents repeatedly discouraged me from playing football and other games as a girl in these sports were not socially acceptable to the then Manipuri society. Girls were confined in kitchen and domestic jobs like washing or cleaning clothes, utensils. It was a time when girls in sports were embarrassed even walking or running on open streets wearing short sports pants and shirts because of the social stigma attached to it. Once a former football player of my locality Mr. Satyajit scolded and made fun of me for playing football. I took his words as a challenge to be a good player in life. Former Indian skipper and prominent woman football Coach Langam Chaoba Devi from Naoremthong Laishram Leikai, working as physical education teacher at Youth Affairs and Sports department shared about her struggle against all odds and difficulties to become one of the renowned woman football stars in the state during a talk event called INSPIRATION Episode – 3 organised by Dynamic Manipur held at Sangai hall, Hotel Imphal on July 13. 2014. 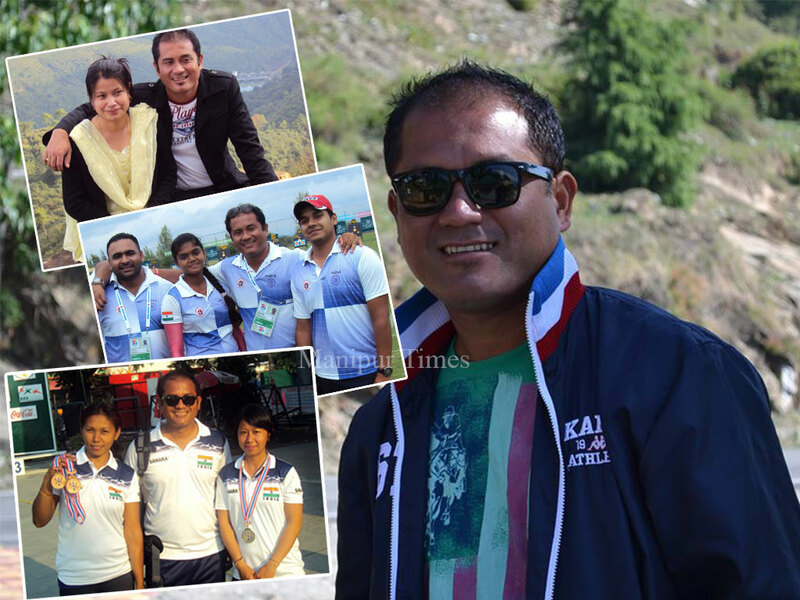 Born to Langam Angou and Kumudini as the sixth child among eight siblings, the 41-years old Manipuri woman Chaoba is the first AFC -A License holder woman coach in North East India. A first class topper with NIS diploma in football coaching from NSNIS, Kolkatta in 2008-09, she passed her AFC –C licence in 2000 and AFC -B licence in 2012. She led the country as skipper of the Indian woman football team in 12th Asian Women Football Championship 1999 held in Philippines. She also represented India in the 13th Asian games held at Bangkok in 1998, Eleventh Asian Women’s football championship held at Ghuangzhou in 1997 and 9th Dana Cup International Women’s Football Championship held at Denmark in 1990. Though the state is known as a powerhouse, it lags behind its counterparts in terms of sports facilities, infrastructural development etc. 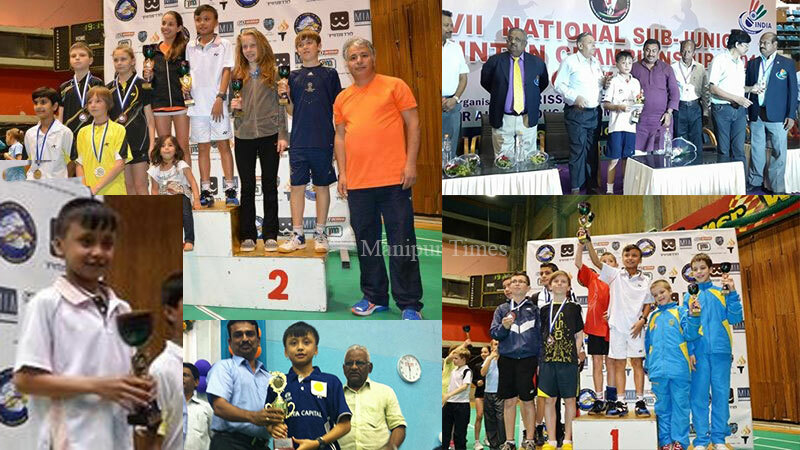 The state’s achievement in sports accounts for the dedication of sports clubs, associations, parents and the players. Though a bit late, coming of Sports University in Manipur will be a instrumental in producing good players in the years to come, said Chaoba. A coach who would guide me was very limited then. Luckily, one YPA football player T. Anandbabu, younger brother of T. Punyachandra who is a Deputy Director of YAS and a renowned football coach guided me towards my football career for the first time. I began playing football among the boys. Later on, under the guidance of one Rk Opendrosana, I joined the woman football team of North Imphal sporting Assn, NISA Thangmeiband in 1985. My career in sports began from this club. A goal keeper Deepak Kumar, who was once one of the best goal keeper in Manipur taught me minutely inspired me to a great extent. With an objective to minimize the shortage of coach in generation to come as I faced during my childhood days, I decided to be a football coach. In 2000, the first AFCC License coach was conducted at Khuman Lampak stadium organized by All Manipur Football Association under the aegis of Asian Football Confederation and All India Football Federation from which I passed the C Licesnse under the guidance of V. Kalimudhu, an instructor from Malaysia. 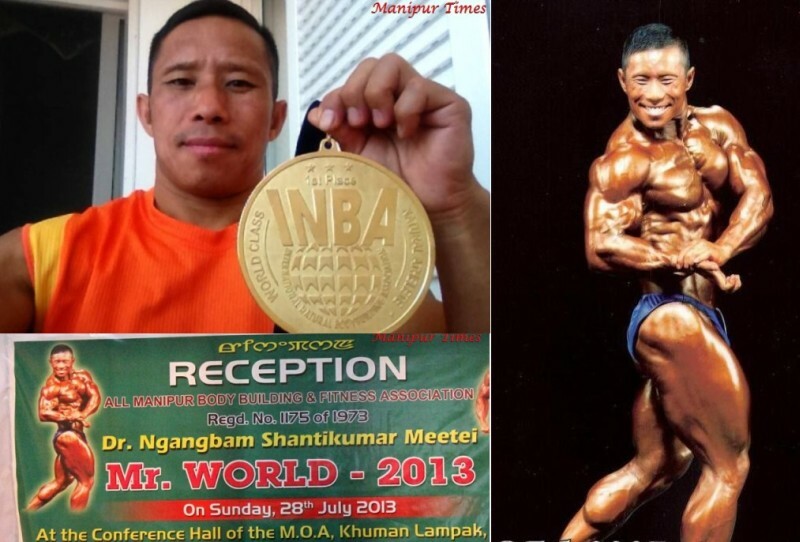 I was then a player of Manipur. After passing C License, I played in many international games for about two three years. Following suggestions from some people to be a coach in the wake of shortage of coach in woman football, I began working as assistant coach for Indian woman football right from2005. She said that almost players coming for training are mostly from poor families. Children from financially sound family background play for time pass. Those players from poor family background, however, have brought laurels to the state against all odds and difficulties. 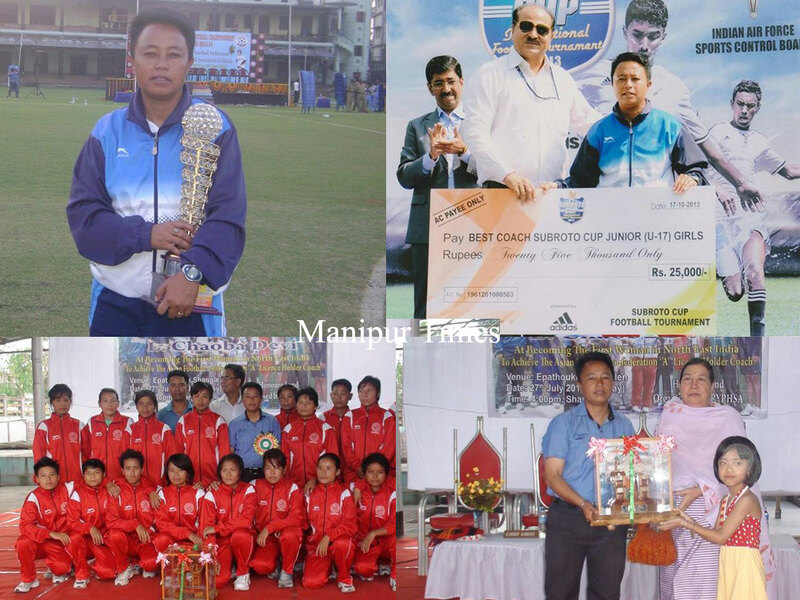 Women football in Manipur is in a pitiful state with many big companies, industrialists in the state unwilling to sponsor the team. 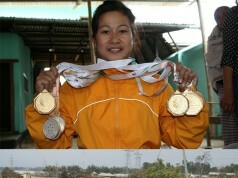 Manipur women, however, dominate India in woman football now and are ahead of West Bengal who once dominated the country in 1970s. Many good women footballers can be produced if companies, industrialists as they sponsor in CC Meet or other championships sponsor the woman football too. With shortage of sponsorship in women football, many clubs working for woman football are dying and many upcoming girls have opted for individual sports. Football has become a good business opportunity now. A footballer can earn as much as that of a professional doctor or engineer. For example, Renedy has been engaged in many top football clubs of India that offer him 30 to 40 lakhs per annum, she said. Responding to a query raised by one Mutum Malemnganba as to why the Manipuri players are not able to come in international level, she said, Short body structure of Manipuri players is the main factor behind why we are unfit for international level. While Europeans are 6 feet in height, Manipuri are just 5 feet and few inches. 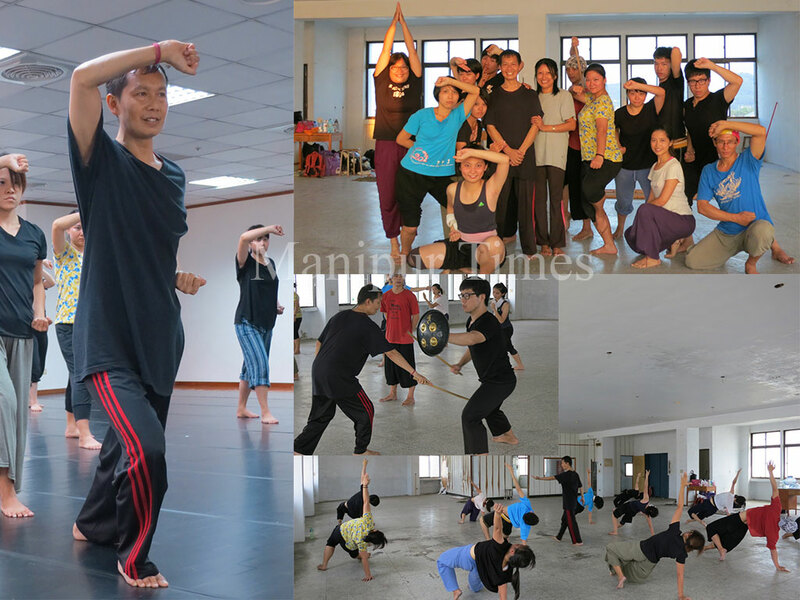 Lacks of sponsorship, paucity of fund are few reasons that play hindrance to. Clubs are working under severe financial constraints. Despite many moneyed people in the state renowned as sports house of India, donors for sports are limited in the state.